Treat thick, curly hair to Shea Moisture's Coconut & Hibiscus Curl Enhancing Smoothie; a luxurious formula that utilises natural and certified organic ingredients for multiple benefits. Silk Protein is blended with Neem and Coconut Oils to nourish and condition hair, whilst helping to fight frizz for a super smooth, salon-worthy finish. Suitable for use on damp or dry hair, the smoothie can be used as a styling cream to create perfect braids, restore shine and protect from breakage. 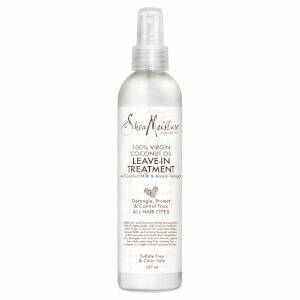 THIS IS THE BEST PRODUCT OMG. 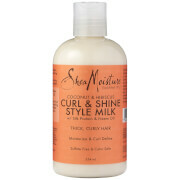 I HAVE VERY FRIZZY HAIR AND CURLY HAIR BUT THIS GIVES ME A VERY HEALTHY LOOK AND VERY PRETTY CURLS! 100% RECOMMENDED!